Some traders trade with 5-minute chart, some trade with 15-minute, and yet some other traders could be using their secret special timeframes. No matter what method they are using, be that indicator signals, price patterns, etc. all boil down to pattern recognition over the passage of time. For example, a trader who looks for divergences on a 5-minute chart that have a span of at least 30 minutes cannot pull the trigger more frequently than 30 minutes interval. This trader has unconsciously established a rhythm of 30 minutes. When these rhythmic behaviours aggregated in the market, we get all kinds of hidden cycles going on. when there are enough players accumulated on one side of the market cyclically, powerful moves emerge. The dominating cycle in a particular time period will continue to exert its force in the market until the cycle is broken. Traders using other cycle length will simply get more false signals and whipsaws until more traders are trading in sync with them on a similar cycle length and phase. It is possible to extract the dominating cycles from the time series in a market using near term data and project the effects into the future with pretty high accuracy. By identifying the strongest dominating cycles, and forward project the effects of these cycles, you get Intraday Cycle Projection. Here is an example showing how the Intraday Cycle Projection works. The following charts are projection for EURUSD on Mar 30, 2011. Top chart is a projection of what the trading day may look like based on the 3 dominating time cycles. The bottom part is an indicator showing how the cycles look like individually. The top line is the shortest one, (S)hort (T)erm. The middle line is the (M)edium (T)erm. The bottom line is the (L)ong (T)erm. The following chart is the actual price chart of EURUSD. There are many ways to utilize the time cycle information depending on your trading style. If your preference is to trade extremely short term price swings (i.e. scalping) then you can focus on the short term time cycle. If you like to anticipate a bigger move within a trading day, then you can observe the beginning of the trading day for confirmation of the cycle consistencies. Once the day is confirmed to be in sync with the time cycles, then you can prepare yourself for the biggest move of the day and spend the rest of the day doing something else instead of waiting in front of the screen the whole trading day. 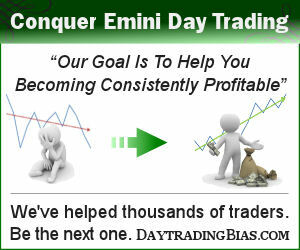 Intraday Cycle Projection is an excellent timing tool for trading markets that are in stable conditions. It is not, however, a good tool to use if a market just experienced a shock or sudden price movement because it will take some time for the market to get back its rhythms. For your convenience, previous projections are provided so that you can tell how well it works over the past several days. Intraday Cycle Projection is available to premium members only.